ADS Securities was founded in Abu Dhabi back in 2011, with an initial capital investment of $400 million. Since its initial incorporation, the company has grown to now become a global brand with entities in the UK, Hong Kong, and the UAE. Each of its entities are locally regulated. ADS securities boast of being able to offer individual traders a multi-asset solution via its Prime account, in addition to various wealth management services aimed at mainly investors. ADS Securities launched its OREX trading platform in 2013. The new platform has helped the company expand upon its current offering. Earlier in 2017, the company launched its OREX web and its mobile app for retail traders. All of this is offered in addition to the MetaTrader4 or MT4 platform which comes further enhanced with various add-ons under the umbrella of MT4 Plus. ADS Securities also caters to retail category traders via its ADS Prime service which is based in the UK and geared towards citizens of the EU. The ADS Prime in Abu Dhabi is geared towards clients in the Gulf countries or the MENA region. Asian customers are taken care of by the Hong Kong entity with added support in Singapore allowing the firm to cover almost every continent on the planet. ADS Securities offers a variety of account types, but there are only two kinds of basic accounts for startup traders or beginners, these include the Standard and Prime Limited Risk accounts. Both have high spreads but are not as competitive as other products offered by ADS Securities, case in point being their VIP category accounts. ADS Securities provides an excellent Prime Gold Account to traders who have over $100,000 in their account or have a trading volume of over $200 million a month. Prime Gold Account holders can take advantage of discounted pricing with their $10 rebate for every 1 million units that are traded. In addition to daily analysis reports, they even offer an airport lounge pass. These benefits are part of their active trader account offers and may vary slightly. The account options offered by the firm vary a bit between the entity in Abu Dhabi and that in the UK. The Prime Gold and the Prime Elite accounts are more exclusive and will require a $200,000 deposit which is a lot like Saxo Bank’s VIP type account. The firm has two similar accounts in the UK; their basic accounts have a spread of 1.6 – 2.4 pips on the EUR/USD currency pair which is of course expensive. The problem we see with ADS Securities and drawing a comparison with other similar firms is that they don’t publish their forex spread averages. But we think that they should because clearly their commissions and overall fees are competitive so by releasing these details it will benefit the company greatly as it will make them look competitive. The firm offers both phone and live chat support which is available only during working hours between 7 am and 8 pm GMT in the UK. The trading desk in Abu Dhabi provides 24 hours phone support during the trading week. Though customers in the UK and other regions are limited to the working hours of their local offices because support can only be provided from where your account is maintained. When we called the trading desk in Abu Dhabi to test out their customer service we found that the service was overall professional. The same goes for calls we made to the UK, Hong Kong, and Singapore offices. The only drawback in our eyes is their limited working hours. All clients are provided a dedicated account manager, so they don’t have to wait in line for long to get in touch when they need help. Even when contacted via live chat you will be transferred to your dedicated account manager if he or she is available. The good thing about the service was that during our testing we were able to get in touch with the dedicated manager fairly quickly over the phone, email and via live chat. So, they knew exactly what we wanted or had discussed. In our opinion, with the vast number of brokers offering 24/7 customer support the lack thereof is the service’s major drawback. There should be at least 24/7 live chat which will help add further appeal to its premium offering as well as non-elite traders with regular accounts. If anything it would be an enhancement that could get many traders to come onboard. One of the best features of ADS Securities is their variety of research tools that can be easily accessed via its trading platform and website. The tools range from the earnings calendar to sentiment widgets plus traders receive live news from top-tier sources like the Dow Jones. They also stream a lot of content from well-known third-party aggregators. The company also creates their own in-house video detailing daily market updates while covering both fundamental and technical analysis. So, traders will always enjoy a rich and informative content which they can act on if they feel comfortable. The firm also has a social copy-trading platform but which charges traders a 20% incentive fee comparable to the hedge fund fee structure of the Prime Classic account. Traders can take advantage of additional research tools to locate lucrative trading opportunities by using the system. The most notable research tools include their technical analysis screeners provided by Autochartist. 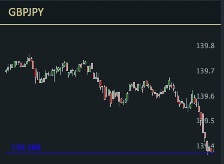 It helps traders locate and analyze various trading ideas using the technical analysis. They also offer a daily forex sentiment widget and report both of which adds more depth and even value to their offering. All in all ADS Securities provides a lot of premium research tools and various pieces of useful content via its platform and website. Plus with an array of MT4 add-ons, they help to further boost the firm’s ranking when it comes to solid research. ADS Securities multi-asset services include spot forex trading on all 57 pairs in addition to 810 CFDs all of which are available via the OREX web-based platform. Though compared to the MT4 platform it offers fewer CFDs. The web-based version of OREX was launched when we started to review ADS Securities’ office in Hong Kong. So, we obviously got a chance to test the first release which in our testing was smooth. Built with an HTML 5 foundation, it resembles most other modern trading platforms. Though the charting has been kept on the light side so all you get are a few trend lines which may not be ideal for traders who want to look at various charts. The platform is laid out cleanly, and all the key areas have been organized in a way which makes them easy to access even for newbie traders. The sidebar on the right has all the research related to content, financial news, the economic calendar and technical videos. However, we are hoping that the platform will evolve exponentially over the next few years as the company starts receiving feedback from its clients. The firm also has a desktop version of its platform called OREX Optim, which is based on the Silverlight development platform. However, since Silverlight is outdated, we don’t recommend using the desktop version of the platform, so all that’s left is the web-based HTML5 based version which is the one we recommend. We see ADS Securities as primarily a MetaTrader broker, especially with its retail offerings. They do offer several add-ons which are aimed at enhancing the experience of using the platform beyond just the default settings. When compared to competitors like Pepperstone and Admiral Markets the extras offered by the firm for the MT4 platform are pretty much the same. 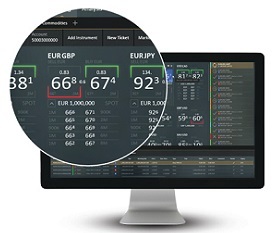 The add-ons offer many premium options like built-in custom indicators and various widgets which help to further enhance what is already provided by MT4. So, traders can execute trades more efficiently by choosing which add-ons to activate. ADS Securities also offers what’s called an ’Algo Builder’ tool. It is a software program for desktop computers developed originally by Molanis. It allows traders to automate various trading strategies and use it via the MT4 trading platform by simply dragging and dropping them. So, you no longer need to be a coder with knowledge of MQL4 coding to take advantage of MT4’s customization options. When testing this functionality one of the things that stood out was the time it took to set things up. First, you need to get a license and then manually install it. So, it’s more of a tool for intermediate users with some degree of technical skill. It can be a useful tool for those who want to create their own Expert Advisor service or automate frequent trade routines or perhaps implement a strategy on autopilot without needing to write code. ADS Securities is making an effort to go beyond just offering what a regular MetaTrader broker will offer by providing customization options via add-ons, VPS hosting and Autochartist. Plus, the installation files for the platform are wrapped in with various emulators to ensure that they are compatible with both Linus and Mac operating systems. In addition to using native MT4 mobile applications, the firm also offers its proprietary platform called OREX which is available for both iOS and Android devices. We got the chance to test out the app on our Galaxy S7 smartphone, and it worked without any issues. The layout, design, and navigation were pleasing, to say the least. The research modules were content rich, and the daily video updates were informative. In addition, the earnings calendar and economic news were helpful when it came to planning our trades, and they all match the web-based version of the platform. We found the watchlist to be well designed which made it easy to add various symbols and create a test order with just a few tabs. However, it’s unfortunate that beyond the great research and robust watchlist the app is pretty light in other important areas like the settings. The charting is also pretty light when using the mobile app, and there isn’t a way to add indicators or even drawing tools. So, you have to make do with the simple trend line and its identical web-based version. Though we feel that this is one area where the firm may be developing since the charts were further enhanced to go full screen when the phone is rotated horizontally. The good thing about the OREX mobile app is that it has a solid foundation and its connected with its web-based counterpart. Though we think that the mobile app can be further improved so that it is on par with the firm’s competitors. Interestingly during the time we were reviewing the service the app was taken offline, and they were inviting users for new demo registrations. So, it’s evident that the company is investing heavily in enhancing the platform further. Further improving the app will obviously make it a worthy competitor against other brokers who too are using proprietary mobile platforms. ADS Securities also offers spread betting which is different from CFDs especially considering how taxes are applied. The good thing is that its available in the UK and for 250 symbols. The OREX platform is an excellent foundation for the firm’s retail trading department. The company tends to go beyond just regular MetaTrader brokerage offerings by throwing in extras for the MT4 platform. 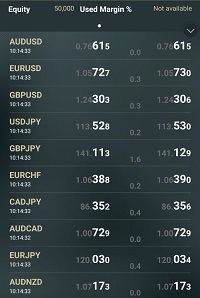 Plus forex traders can trade up to 60 currency pairs with over 800 CFDS. However, we think that despite it being a full-service broker their customer support is somewhat limited for people with smaller balances and startup traders. So, it’s not a broker we would recommend to newbie traders. ADS Securities is a great choice for day traders who have large balances or those people with high net worth because they would become eligible for the VIP type account and its benefits. However, the choice of account and where you open it will be limited to your location. 7 Binary Options review: ADS Securities: 4 stars.